Seven days of craft beer tastings, pub crawls, beer barbecues and brunches. The countdown to Toronto Beer Week is on. Join Spearhead Brewing Company for some great events and tip a glass of craft beer with us. Sept. 16 6 p.m. The Only Café (972 Danforth Ave.) Join us for a pint and a tasty Hawaiian barbecue. Sept. 16 Tequila Bookworm (512 Queen St. West) Don’t miss this Toronto Indie Film Festival after party featuring Spearhead’s Hawaiian Style Pale Ale. Enjoy free samples of Spearhead's Hawaiian Style Pale Ale and $4 Spearhead draught all night. Sept. 17 4 p.m. to midnight. Stout Irish Pub (221 Carleton St. E.) Don your wildest Hawaiian shirt for the Spearhead luau party that features hula dancers, a hula dancing and limbo competition and a Hawaiian shirt contest. Enjoy some tropical Hawaiian eats paired with our Hawaiian Style Pale Ale. Sept 19 C’est What? 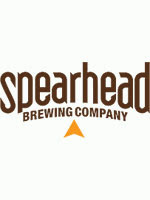 (67 Front St.) Spearhead goes head-to-head at the brewpub’s IPA challenge. Sept 19 The Rhino (1249 Queen St. W.) It's curry and Hawaiian Style Pale Ale night at this popular Parkdale watering hole with an extensive beer menu spanning more than 40 countries. Sept 21 Bohemian Gastropub (571 Queen St. W.) Enjoy a delicious food and beer pairing created by Bohemian’s chef. Sept 21 Cloak and Dagger (394 College St.) Drop by for a pretzel and a pint of Spearhead’s pale ale. Sept 22 6 p.m. to 11 p.m. The Premium Beer Experience at The Berkley Church (315 Queen St. E.) Don’t miss this Toronto Beer Week party that features craft and boutique beers as well as beer cocktails. Tickets are $20 in advance. For more information visit beerexperience.ca. Sept. 24 4 p.m. Toronto Beer Week Pub Crawls Sponsored by Spearhead Join us for several pub crawls visiting some of the city’s top craft beer destinations. West Enders meet at Bryden’s and East Enders hook up at the Only Café. All pub crawls end up at Stout Irish Pub at 9 p.m. For more details, visit our events page at spearheadbeer.com.